Dayton, Ohio: Acadia, a HubSpot-Certified Agency Partner based in Dayton, Ohio, is pleased to announce their achievement of Gold-tier HubSpot Partner status. According to HubSpot, “The Partner Tiers program is designed to acknowledge top Agency Partners who have brought the inbound message to the most clients [and] executed inbound marketing services to the highest standards.” Acadia helps manufacturing and industrial companies grow by applying a customized combination of inbound marketing and sales strategies, tying it all together with HubSpot. 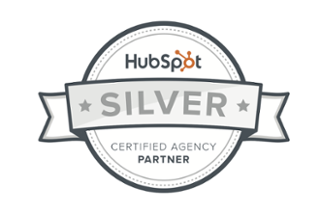 Dayton, Ohio: Acadia, a HubSpot-Certified Agency Partner based in Dayton, Ohio, is pleased to announce their recent achievement of silver-tier HubSpot partner status. Acadia works with HubSpot, the world’s leading inbound marketing and sales platform, to help their clients grow their businesses through inbound marketing software, services, and support. The Acadia team plans and executes lead generation strategies for technical, industrial, manufacturing and engineering organizations. Stay current on Acadia news here.